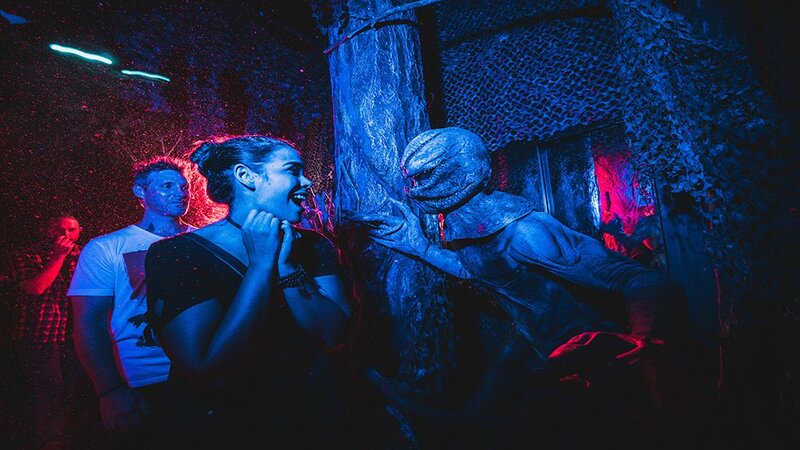 It’s the most wonderful time of the year: Halloween Horror Nights is in full swing! 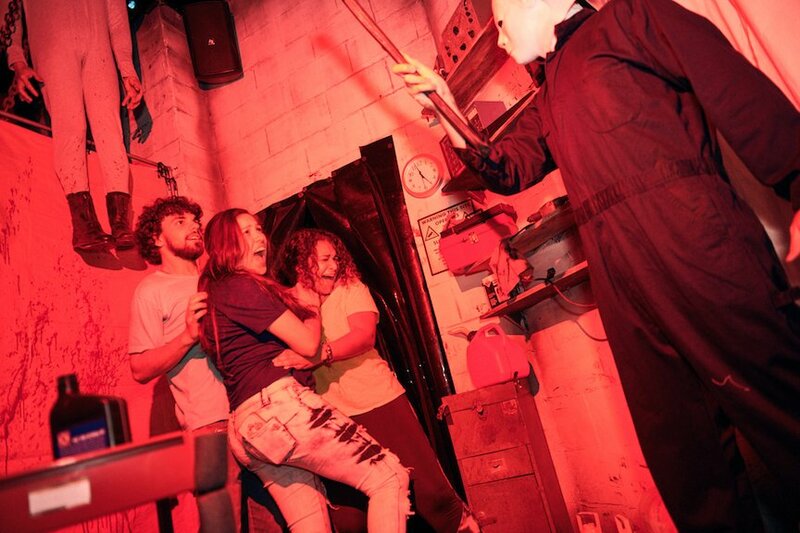 Every year, as soon as I’ve been through every house at least once, I put together a post featuring my Halloween Horror Nights house rankings. Last year’s post was one of my favorites to write, and I’ve been looking forward to writing this year’s post since…well, since last year’s event ended. Now that I’ve been a couple of times and really soaked it all in, I’m so excited to share this year’s Halloween Horror Nights house rankings with you! …except I can’t really rank them! This year’s 80s-themed event is so strong, I honestly don’t think it’s possible to make a cohesive ordered list. Plus, so much of your haunted house experience depends on timing and luck. Instead, I’ve assigned each haunted house a superlative that I think best describes it. (Sorry that the title of this post is a little misleading…but doesn’t “My House Superlatives” sound a little funny?) Let’s dive right in! Ask any member of my HHN girl gang and they’ll tell you that I’m no wimp. I love to be in the front of the line in every haunted house, and it takes a lot to really rattle me. Take it from me when I say Dead Exposure: Patient Zero is freaking terrifying. With only strobe lights to illuminate your path, this is a very disorienting house with plenty of creative scare techniques scattered throughout. A scene that takes place on a Parisian subway had me exceptionally tweaked out! Poltergeist is one of my favorite horror movies, so I had high expectations for this house! I’m happy to say that I adored everything about it, although I was especially impressed by how well each room captured an essence of the film. From the burial ground to the Freeling family’s house and the spirit realm contained within it, every scene completely transports you into the film. I was hoping this house would be as amazing as The Shining was last year, and boy oh boy is it ever! If you were wondering if the Stranger Things house lives up to the show, rest assured that it’s about as faithful as humanly possible! I’ve only been through this house once (because the lines are SO long), and I’ve already managed to spot Joyce, Hopper, Dustin, Nancy, Steve, Will, and Eleven! And of course, the Demogorgon is lurking around literally every corner to scare the crap out of you. For me, the highlight of this house was walking through Will’s room as the lights flashed wildly and “Should I Stay or Should I Go” blasted in the background—and that’s only one of many scenes pulled right from the show! Seeds of Extinction is based on an alternate reality where all the plants I’ve failed to properly take care of come to life and take their revenge. Okay, it’s actually about the aftermath of an apocalyptic meteor that leaves Earth overrun with carnivorous plant life—same difference! Anyway, I’ve had really varied experiences with this house. Sometimes I’m scared out of my wits and completely breathless by the end of it, and sometimes I only jump once in the entire house. Luckily, missing out on the jump scares means I had time to really take in the design, and it is stunning. The setting of the house is a derelict shopping mall and there’s one particular room with bioluminescent plants that mildly blew my mind. “Surprising” kind of has a double meaning in this context. On the one hand, I was personally surprised at how much I enjoyed this house. I love the original Halloween, but I’ve never seen any of the sequels (although I’m definitely going to see the new one this October). Michael Myers has also been hanging around HHN for quite some time, so I was delighted to find that this house still managed to feel fresh and innovative. On the other hand, I was shrieking in surprise the whole way through this house simply because of the sheer amount of times I came face-to-face with Michael Myers. I bet it would be an even more enjoyable experience if I’d seen the movie and understood the well-designed sets! 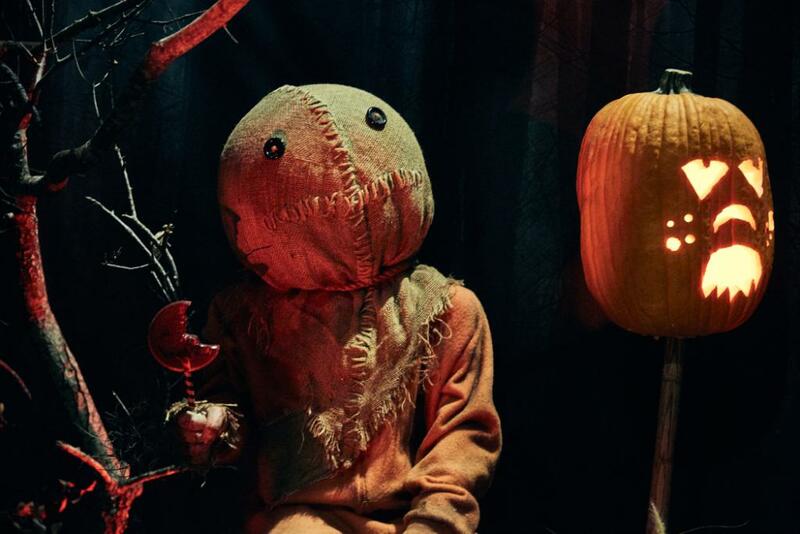 Don’t get mad, but I still haven’t seen Trick ‘r Treat, even after last year’s amazing scare zone. Nonetheless, even I can admire how this year’s house is so true to the story! Each anthology has it’s own portion to shine, and of course Sam is present throughout to remind you to follow the rules of Halloween. I’ve heard that Universal is planning on swapping some of the Sam dummies for scareactors on certain nights, adding another level of unpredictability to an already thrilling house. I struggled for a little while trying to think of the word to best describe Carnival Graveyard. I’ve only been through this house once, and my timing must have been off because I was only scared a handful of times. However, Carnival Graveyard is still packed with amazing design details, and there are plenty of easter eggs for HHN fans to enjoy too! There are some pretty awesome characters in this house as well, from the creepy ringmaster to the steampunk carnies. 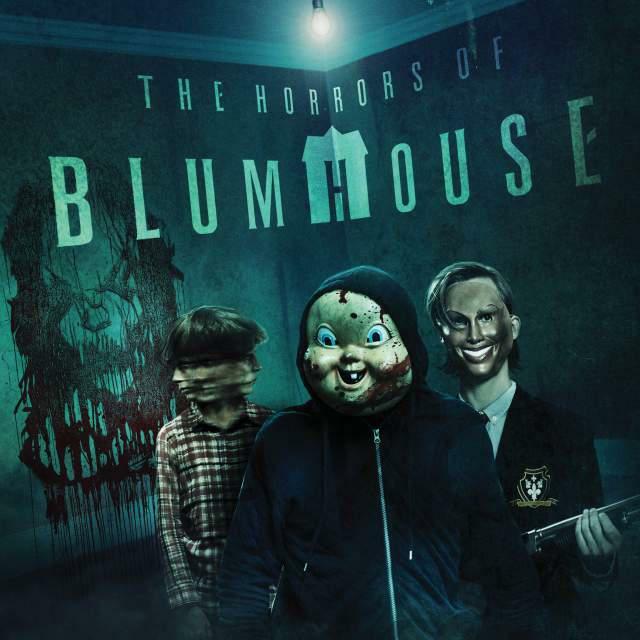 Oh Blumhouse…I’m sorry I couldn’t come up with a single creative adjective to describe you! I’ve never seen Happy Death Day or The First Purge, so it’s kind of my fault that I have no clue what’s supposed to be going on in this house. The good news: HHN28 is such a strong event that even this house is quite enjoyable and well-designed! I think it would be much better for fans of either film, so definitely check it out if you’re familiar! Whew, we did it—we covered all 10 houses! Do you agree with my Halloween Horror Nights house rankings? (Or superlatives? Or whatever we’re calling this post?) Let me know in the comments! I have a few more HHN posts planned through October, so keep an eye out for a rundown of the scare zones (mostly Vamp 85, probably) and plenty of scareactor pics. In the meantime, be sure to follow me on Facebook, Instagram, and Pinterest to keep up with my terrifying adventures! P.S. I’ll probably update my Halloween Horror Nights house rankings as the event goes on, so be sure to check back on this post to see if I’ve made any changes! Previous Post What’s In My Disney Bag?